360 Video is captured by an array of multiple cameras or camera angles that are 'stiched' together via software. When viewed, the experience created allows you click and drag your view around a video sphere or to physically turn your head and look around the video image as if you are inside the actual scene captured by the camera. 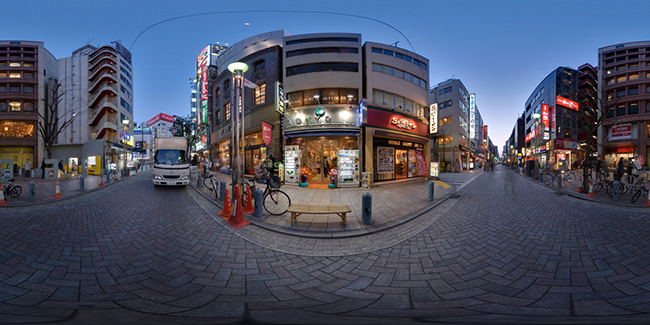 360 Video is is an array of multiple cameras or camera angle that are 'stiched' together and viewed in a video player that enables you to physically turn your head and look around the video image as if you are present in the actual scene being viewed. Oculus Rift is a premium experience for viewing 360 Video and VR content. Oculus is capable of not only viewing 360 and VR video but is also capable of giving a viewing experience for VR games generated by Virtual Reality gaming systems. Google Cardboard is an inexpensive way to take your existing smartphone (that has the appropriate sensors inside) and place it inside a cardboard viewport. When you play a 360 Video from YouTube and hold the phone in the box to your eyes, the sensor inside the phone will allow the video to match the motions your head makes as you physically look around the spherical 360 video that is playing on your phone. There are diopter lenses inside the cardboard box that allow your eyes to comfortably view the screen of your phone even though it is positoned only an inch from your face. VR Video is is an array of multiple cameras or camera angle that are 'stiched' together and viewed in a video player that enables you to physically turn your head and look around the video image as if you are present in the actual scene being viewed.